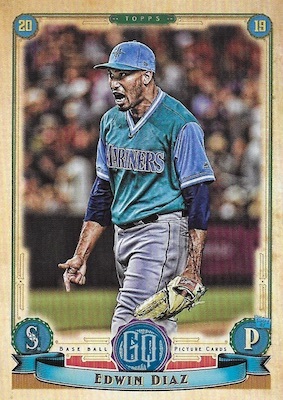 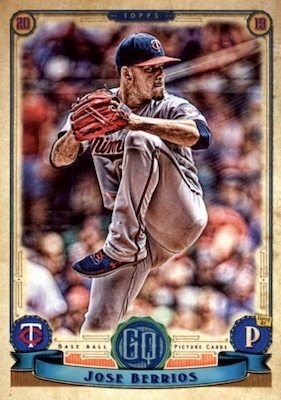 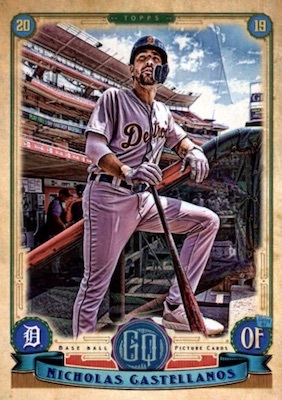 The 2019 Topps Gypsy Queen Baseball variations mix in multiple image themes to go along with the retro GQ design and a small selection of parallels. 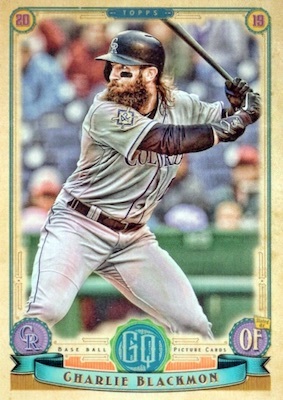 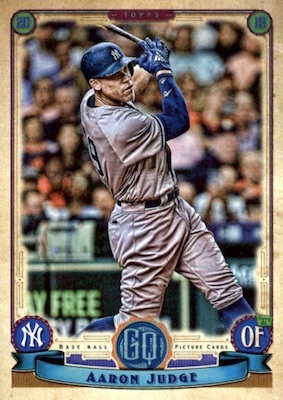 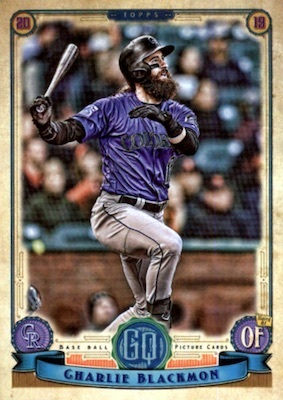 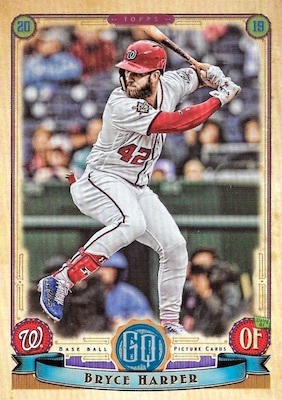 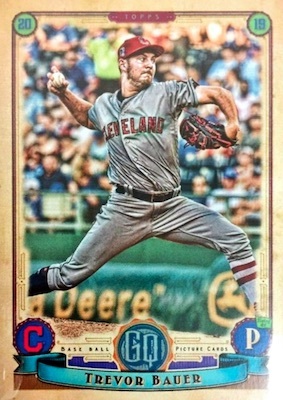 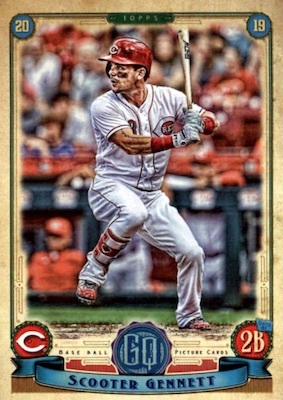 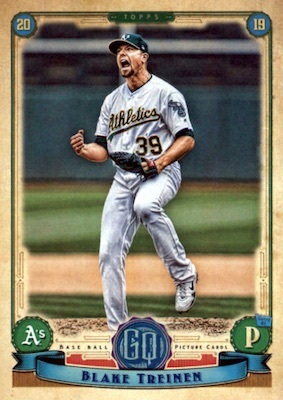 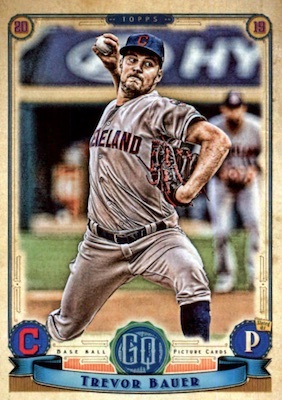 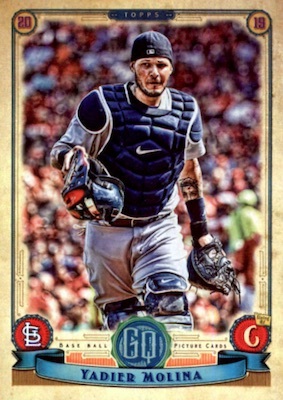 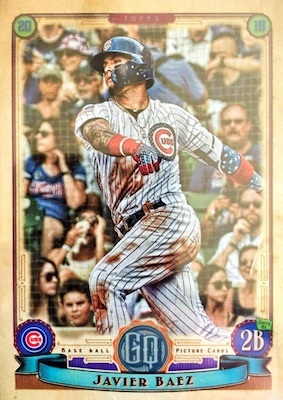 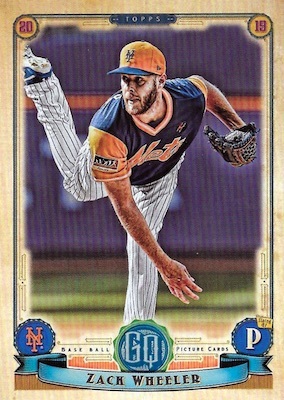 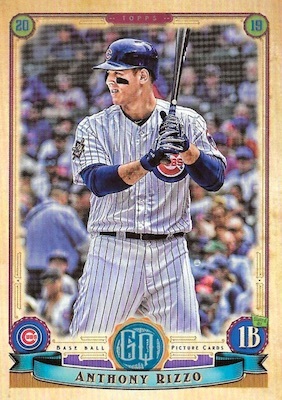 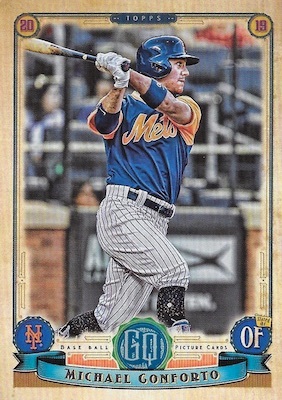 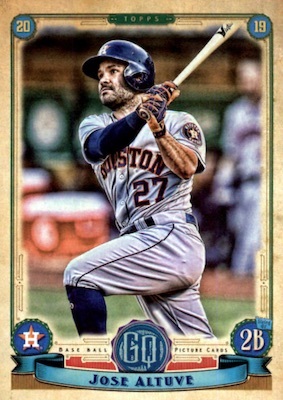 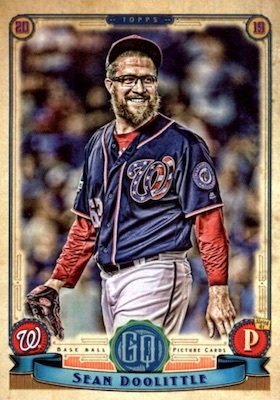 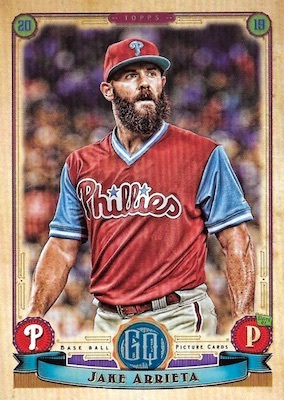 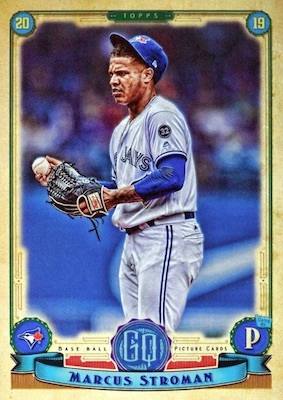 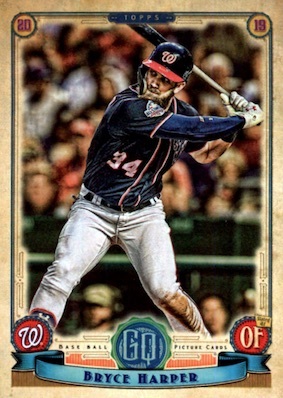 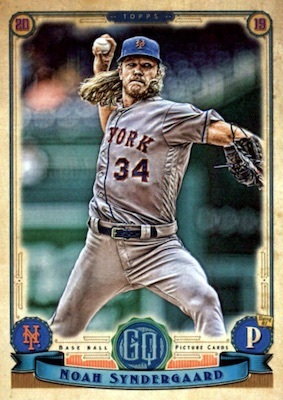 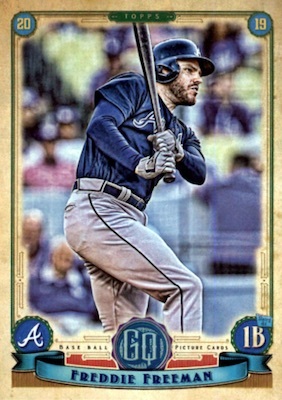 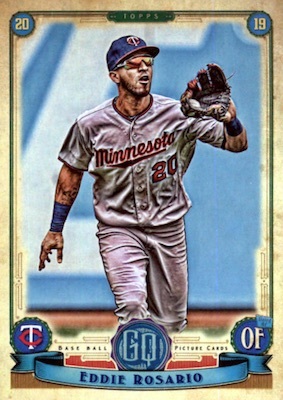 It appears that Topps disclosed the full lineup of GQ variations on the final 2019 Topps Gypsy Queen checklist. 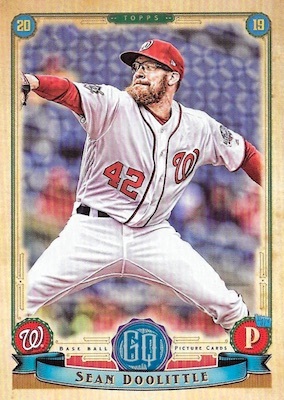 However, that is only half the battle for collectors looking to distinguish them from the base cards. 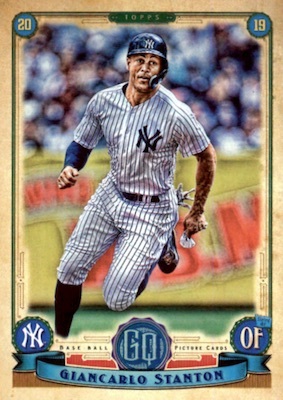 Furthermore, there are atypical parallels that can seem like variations. 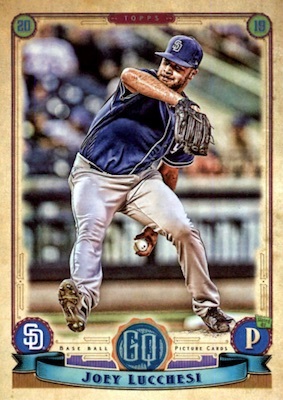 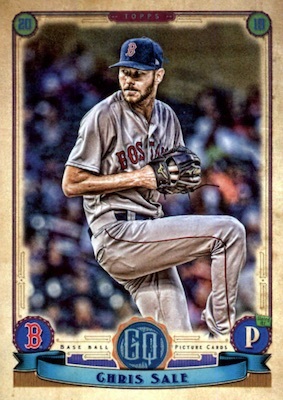 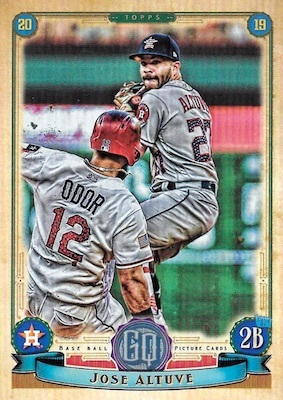 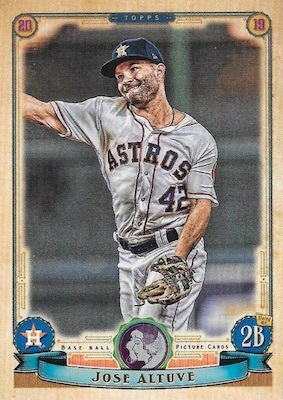 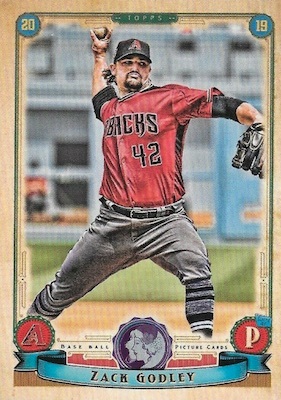 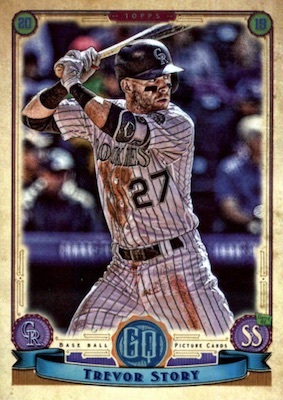 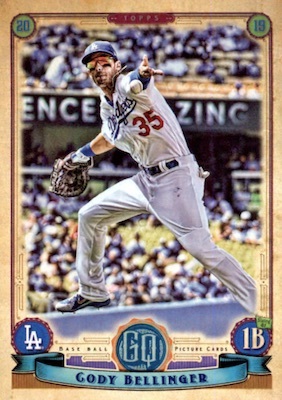 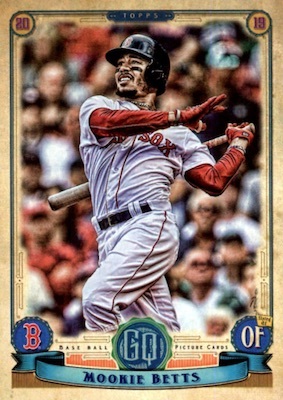 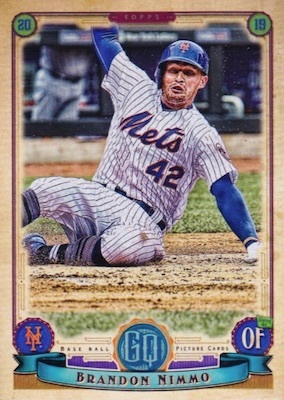 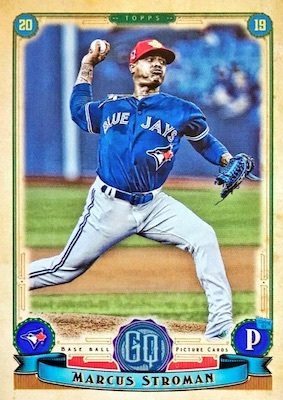 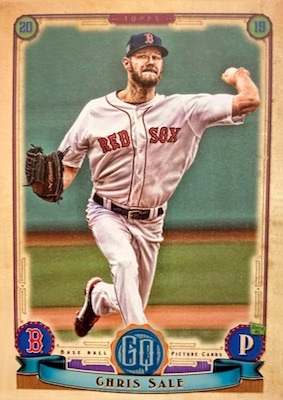 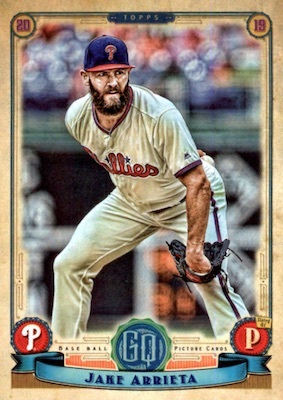 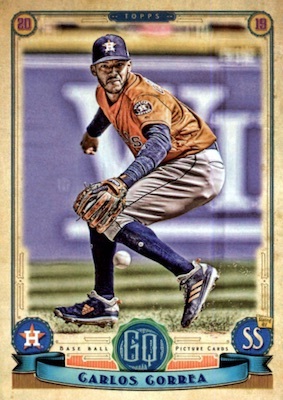 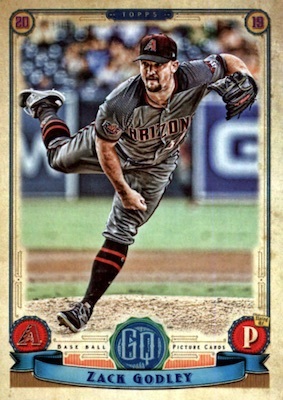 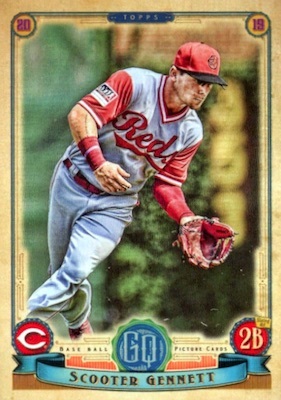 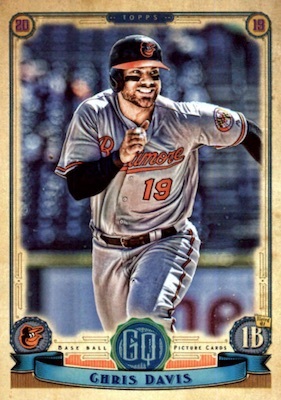 And that's where the 2019 Topps Gypsy Queen Baseball variations guide comes into play. 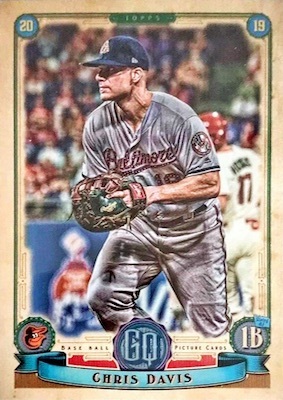 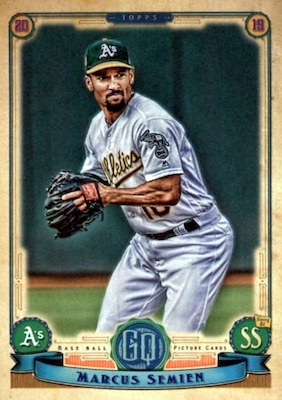 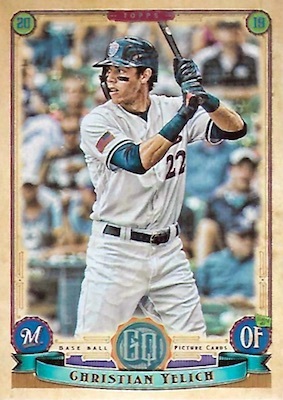 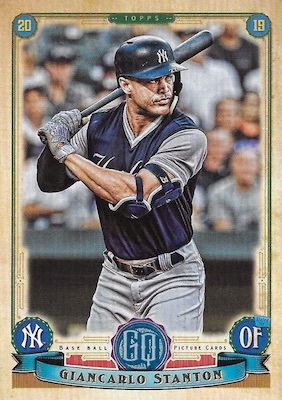 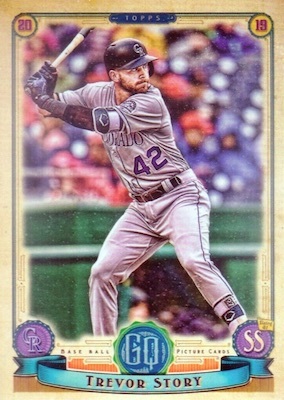 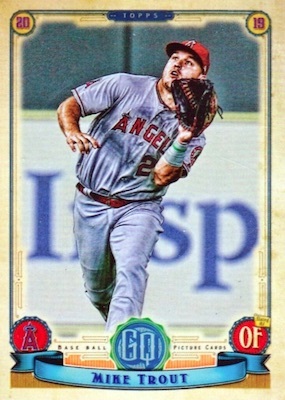 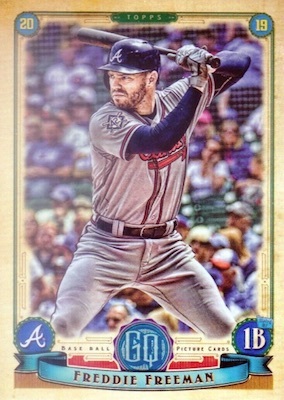 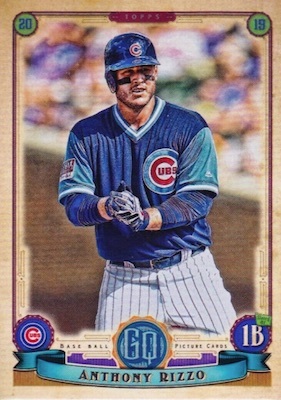 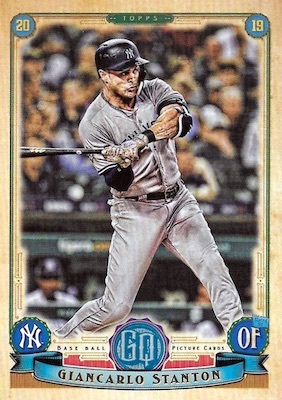 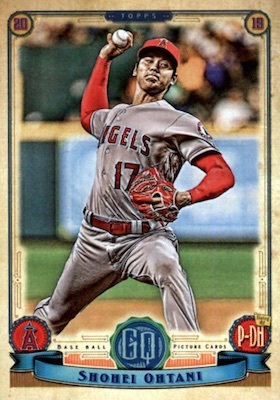 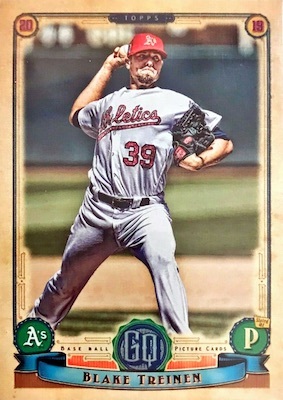 As has been the case for GQ in previous sets, 2019 Topps Gypsy Queen Baseball includes unnumbered base editions that aren't actually variations but they are different enough to cause confusion as they aren't simple color changes or serial numbered. 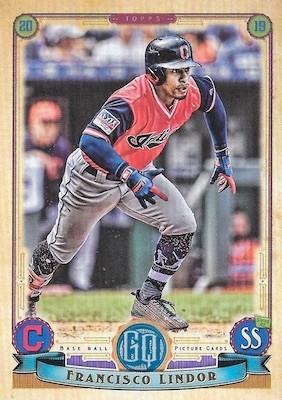 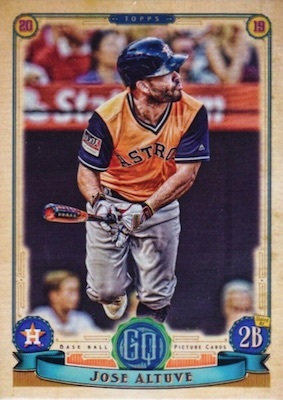 Like 2018, these appear to be full parallels to the base set and base short prints (SP), including Missing Nameplate, GQ Logo Swap and Bazooka Back versions. 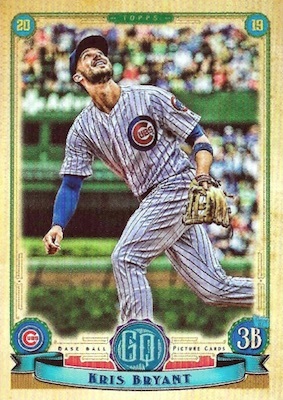 The pack odds provided below are for the Hobby format. 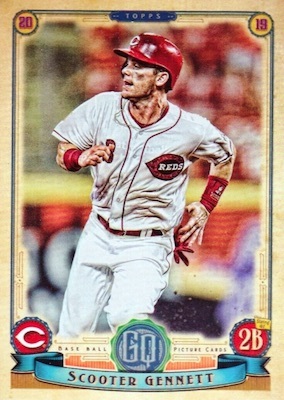 Exactly as it sounds, the Missing Nameplate parallels remove the player's name and leave just an empty banner. 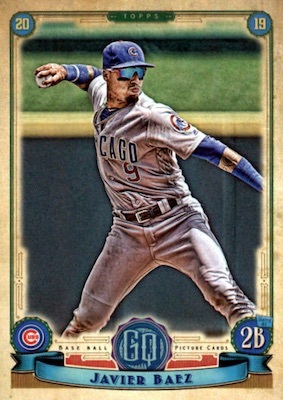 These fall 1:21 packs for base cards and 1:563 packs for base SP. 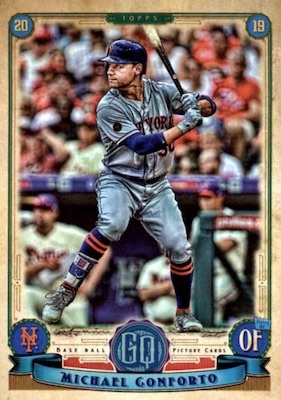 A little more subtle, the GQ Logo Swap parallels replace the "GQ" logo in the main circle above the nameplate with a drawing of a woman's face. 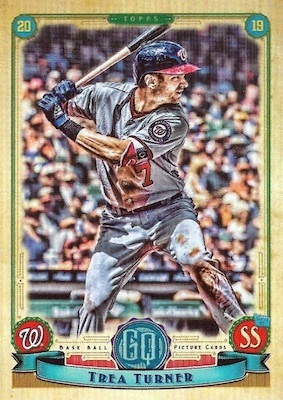 Base versions average 1:29 packs while base SP cards come 1:1,125 packs. 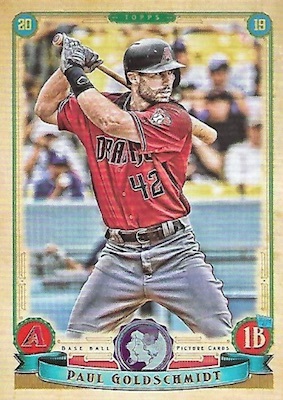 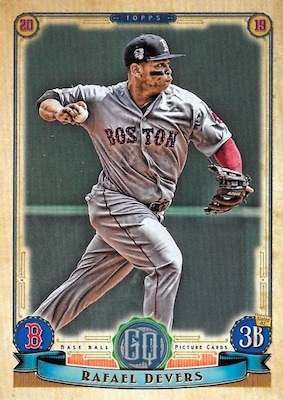 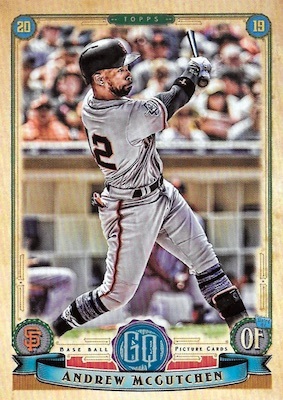 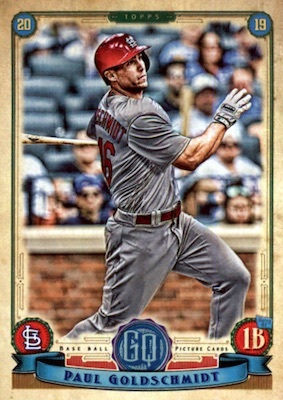 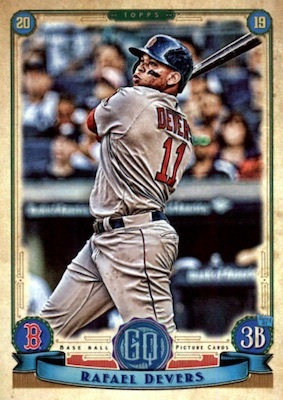 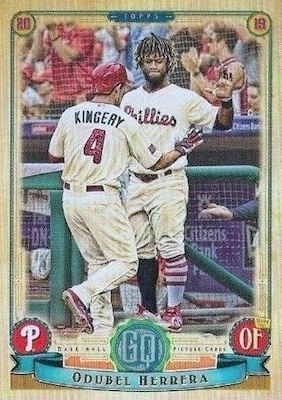 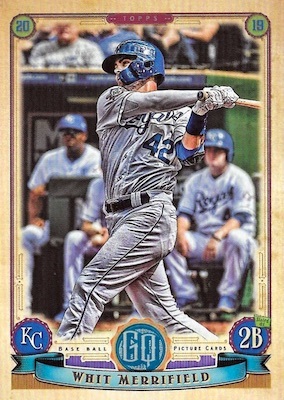 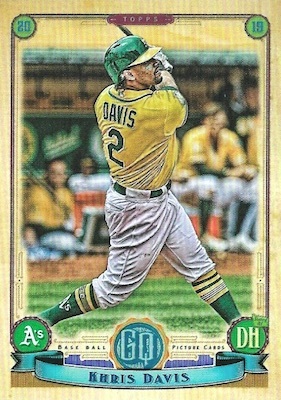 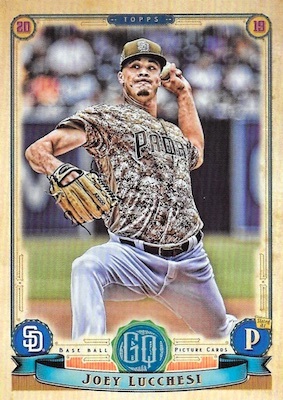 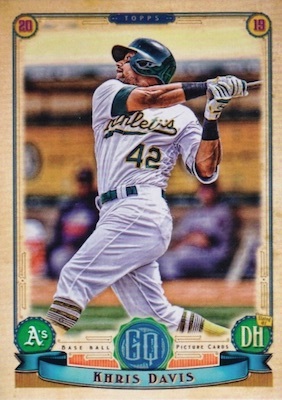 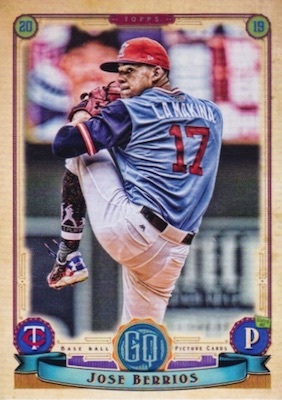 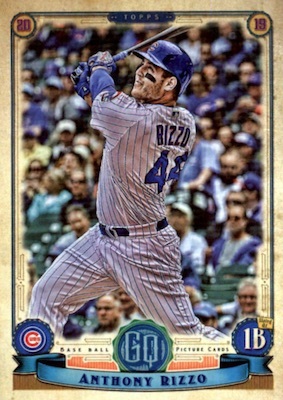 Unlike the Missing Nameplate and GQ Logo Swap parallels, the Bazooka Back parallel moves the change to the card's back. 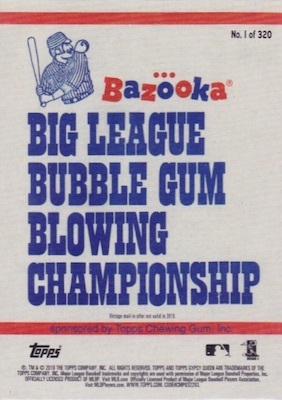 Instead of stats or a bio, there is just a massive gum ad. 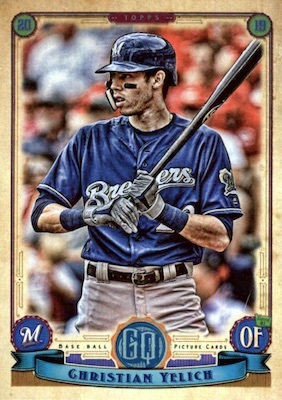 These are the toughest pulls at 1:57 packs for the base and 1:1,687 packs for the base SP. 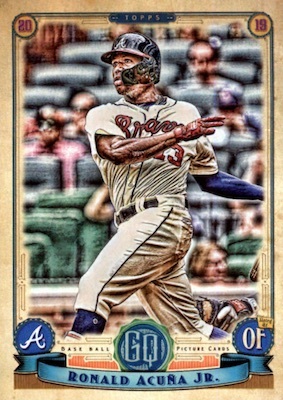 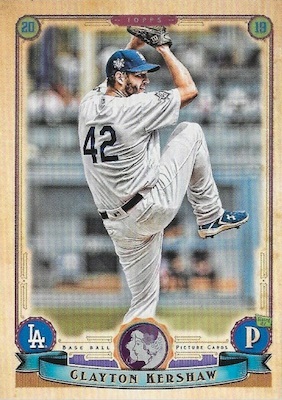 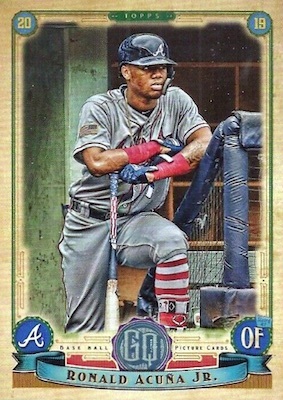 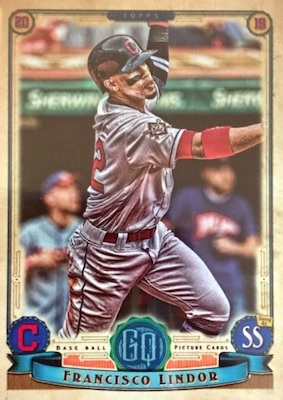 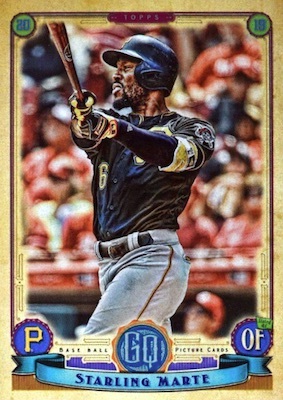 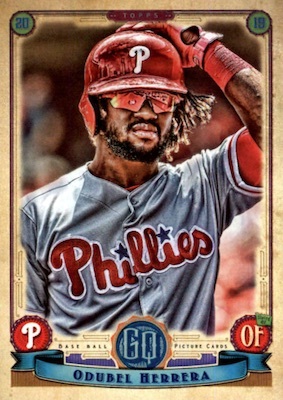 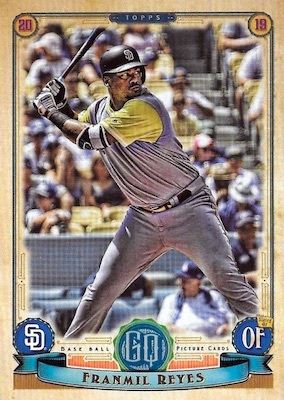 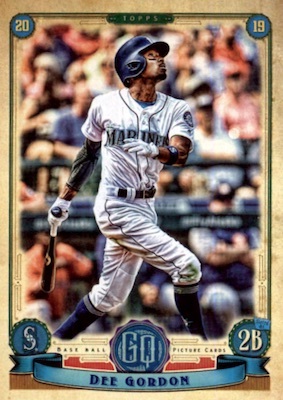 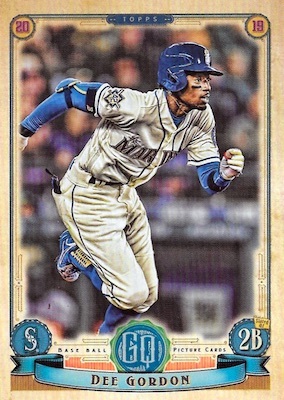 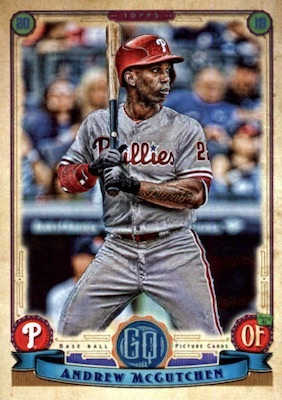 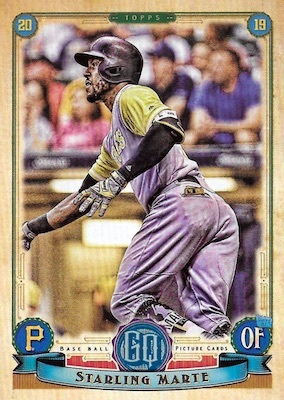 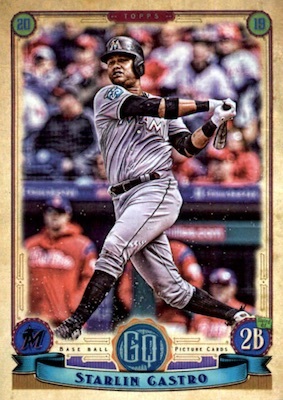 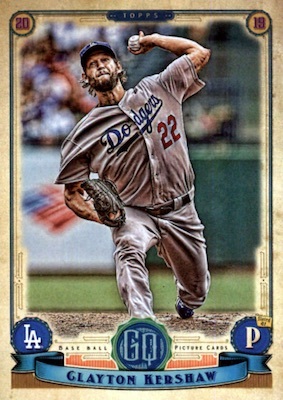 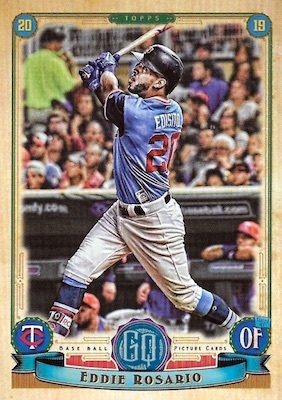 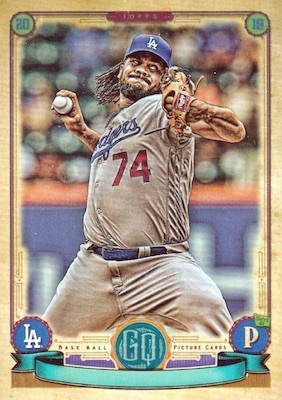 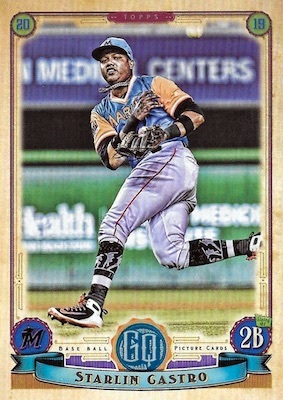 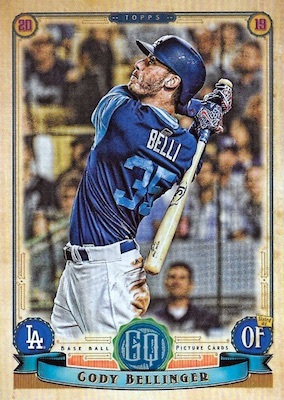 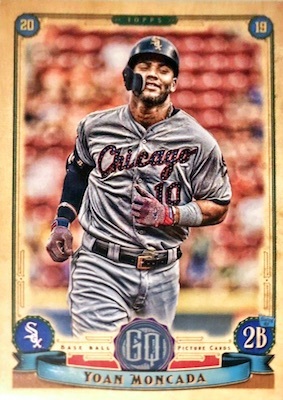 Unless there are any other surprises, that brings us to the 2019 Topps Gypsy Queen Baseball variations trio displaying images from Jackie Robinson Day, Player's Weekend and the all-new 4th of July SSP variations. 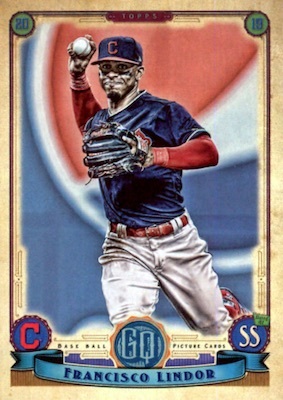 Use the tabs below to see a full gallery, pack odds and more info for each SP option. 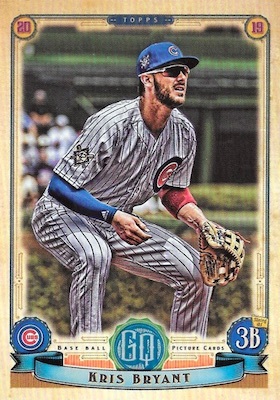 Although it is not their actual purpose, the CMP codes are another handy way to determine a variation. 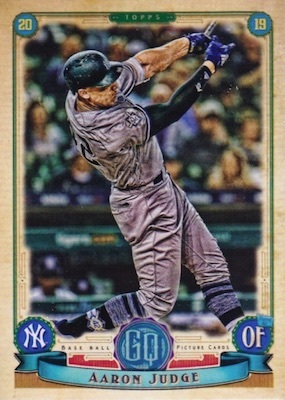 While the code is already very small, something about the GQ printing makes it even more difficult to reach compared to other Topps sets. 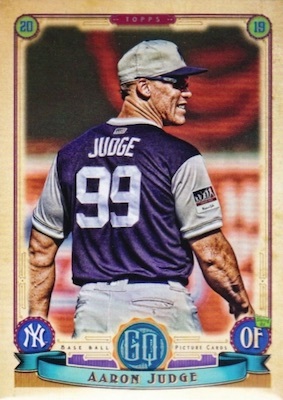 Nevertheless, refer to the last three digits for a variation cheat code. 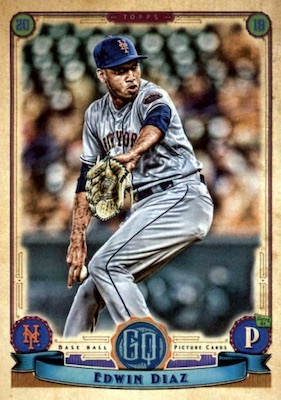 We are adding new cards as quickly as possible. 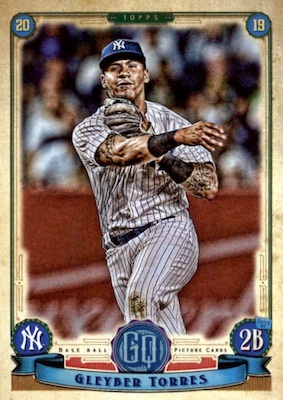 Please email us if you spot something different or can supply clear images. 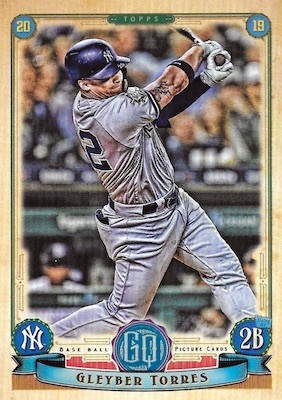 Shop for 2019 Topps Gypsy Queen Baseball Variations on eBay. 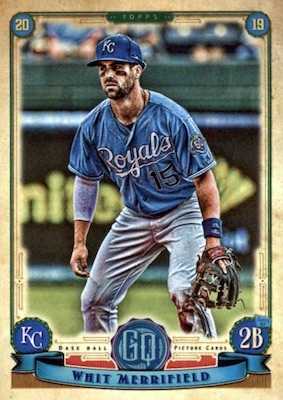 1:141 packs. 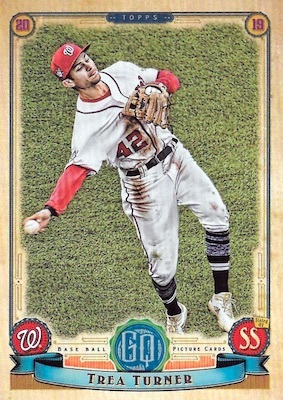 Variation image shows player in #42 jersey. 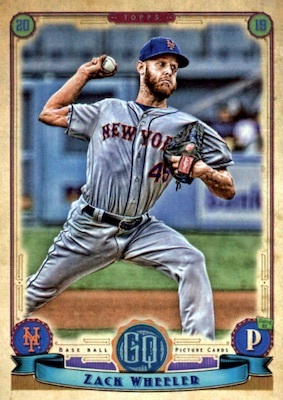 Some example cards are the GQ Logo Swap parallel, but the images are still the same. 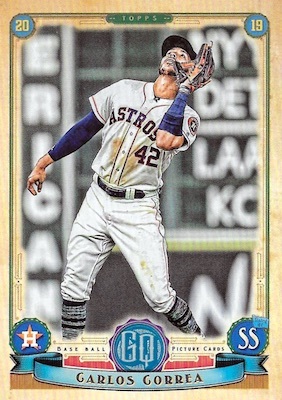 PARALLEL CARDS: GQ Logo Swap (1:563), Black (1:55,083). 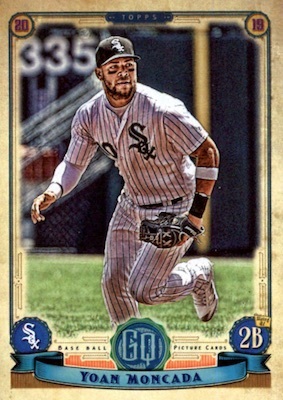 *AUTOGRAPH PARALLELS*: Autograph (1:1,281), Black/White (1:4,722), Black (1:66,099). 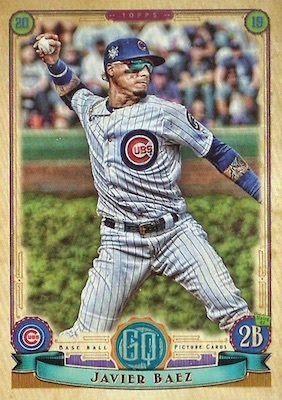 1:139 packs. 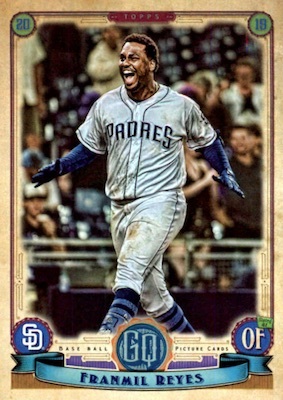 Variation image shows player in Player's Weekend jersey. 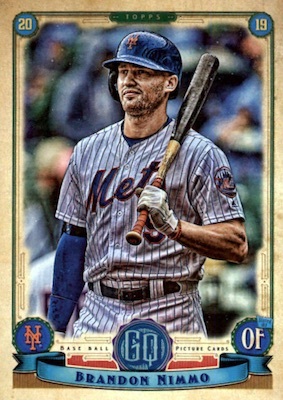 Some example cards are the GQ Logo Swap parallel, but the images are still the same. 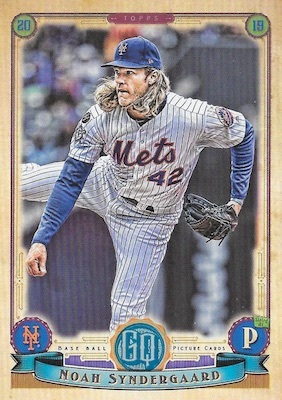 PARALLEL CARDS: GQ Logo Swap (1:346), Black (1:33,050). 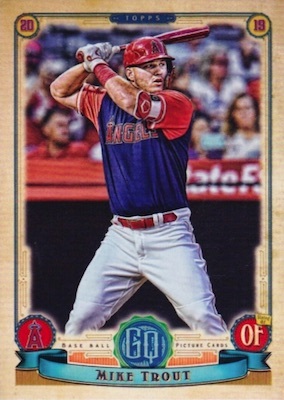 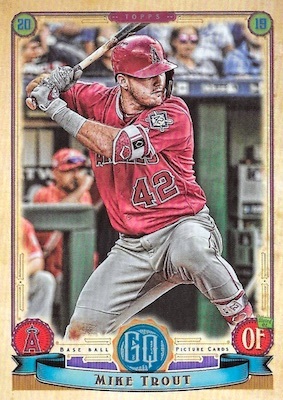 2019 Topps Gypsy Queen Mike Trout Player's Weekend Variation! 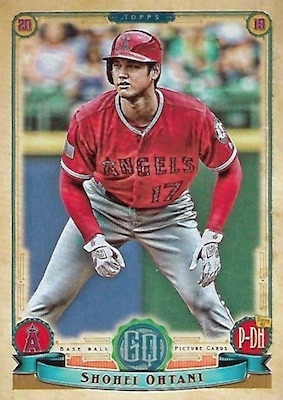 1:1,125 packs. 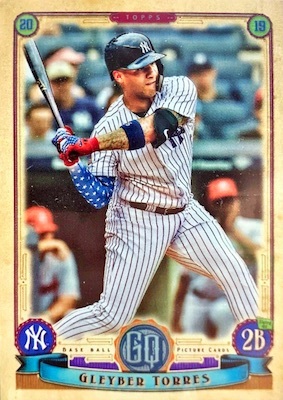 Variation mage shows players in 4th of July uniform. 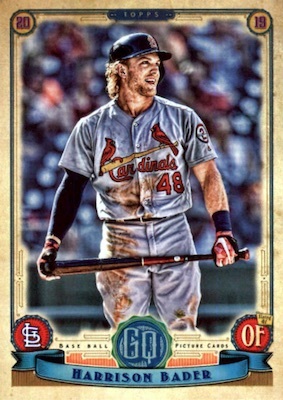 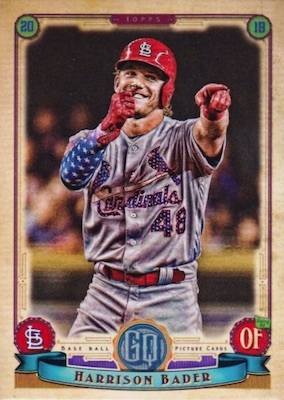 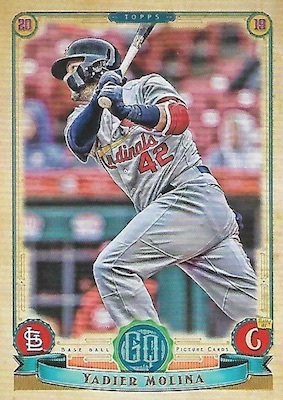 2019 Topps Gypsy Queen Harrison Bader 4th of July Variation Ssp!